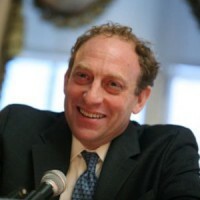 Michael Oreskes is senior vice president of news and editorial director of NPR. Oreskes, Michael. "Journalism on the comeback trail." Nieman Journalism Lab. Nieman Foundation for Journalism at Harvard, 18 Dec. 2015. Web. 22 Apr. 2019. Oreskes, Michael. "Journalism on the comeback trail." Nieman Journalism Lab. Last modified December 18, 2015. Accessed April 22, 2019. https://www.niemanlab.org/2015/12/journalism-on-the-comeback-trail/.